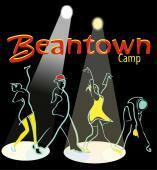 Only 2 Weeks To Go Until Beantown Camp! The countdown to Beantown Camp opening day continues! Only 2 weeks to go. If you are registered and would like to add a competition, now would be a great time to do that! Got soul? Why not sign up for the Soul division? That does sound like fun! 2 Special Classes Added with Bobby White! Attending the Old School: In Search of the Spirit of the Old Timers. A talk full of stories, video footage, and one dancer’s journey to find the spirit of the original jitterbugs. Partnership: How Best to Avoid Throwing Things. A class specifically geared towards working with a partner off of the dance floor. Class will consist of both discussion and dancing. Partners recommended, but not mandatory. Join us for our 16th year! Camp runs from June 28 to July 5 with multiple registration options. If you’ve never done the full week, this will be the year to do it. There is so much that you will not want to miss!